I'm trying to install the QODBC on our SQL Server, and I followed all steps in your documentation How to create Link Server with MS SQL 2005/2008/2012 64-bit Using QODBC/QRemote. Cannot initialize the data source object of OLE DB provider "MSDASQL" for linked server "QREMOTE". 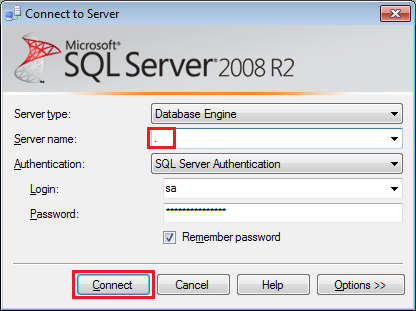 Please make sure that you are creating Linked Server on SQL Server machine where QODBC is installed. 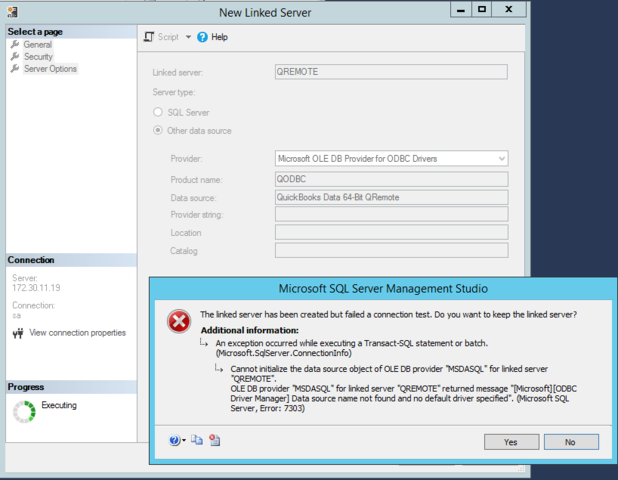 If you are creating the linked server from other machine where SQL Server Management Studio is installed but QODBC is not installed, then you may face this error. You can verify it by closing SQL Server Management Studio (SSMS) & reopen it and at time of connecting to SQL Server option. Please remove server name & insert "." (i.e. dot) & try to connect. If you are able to connect, then SQL Server is on local machine otherwise SQL Server is on other machine.